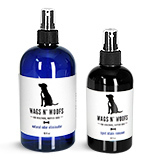 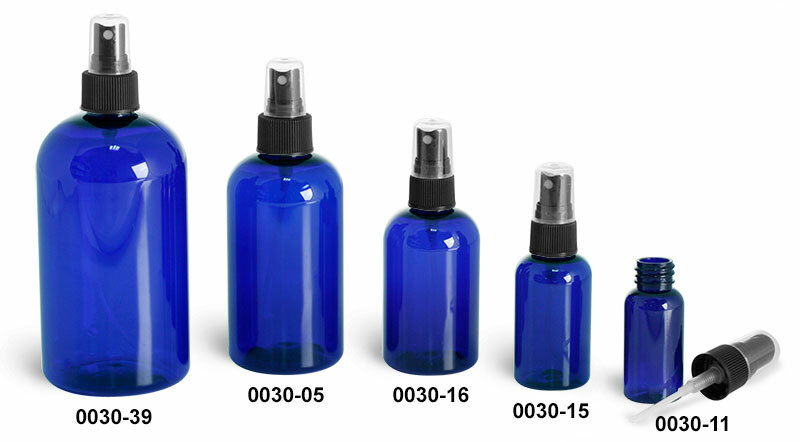 Our blue PET boston round bottles are available in five sizes with black ribbed fine mist sprayers. 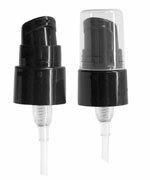 The black fine mist sprayers will dispense with ease in a mist for products that could include room sprayers and body care products. 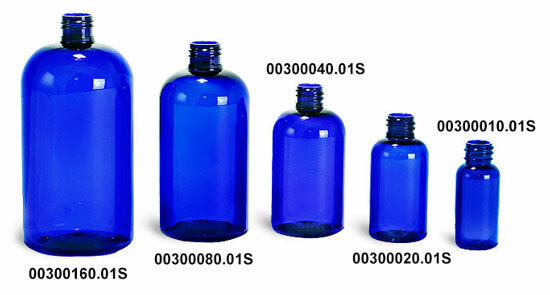 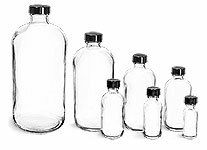 Be sure to test your products with these blue PET boston round bottles to ensure accurate dispensing.